Heel pain is a very common problem experienced by many and is caused by different reasons. Patients will often suffer pain under the heel or behind the heel. Most of the time, heel pain will disappear on its own with time but in serious cases, they can become chronic problems. There are 26 bones in the human foot and the largest bone is the heel bone. The function of the heel is to provide support and balance the weight of the body. With such immense weight acting on it and various activities such as running and jumping, the heel is at a high risk of injury. Plantar fasciitis is a painful result of the inflammation of the plantar fascia. The plantar fascia links the heel bones to the toes and is responsible for the arch of the boot. Plantar fasciitis can cause immense pain which increases with every additional step you take but once you warm up the leg, the pain will start to go away, coming back again after periods of immobility. As mentioned above, the heel bone is the largest bone in the human foot and stress fractures can occur due to overuse of the heel. Continuous activity on a hard surface can also contribute to stress fractures due to the higher force environment. 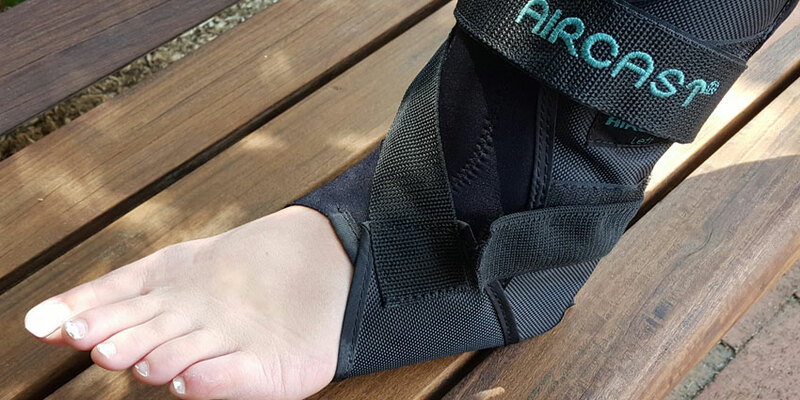 When the heel bone fractures under stress, it will cause immense pain at the heel region and recovery time is often lengthy. Heel bursitis results from inflammation of the bursa which is located at the back of the heel. It is most commonly occurred when the patient lands on the heels incorrectly, injuring the tendons and bursa. Improper footwear may also contribute to heel bursitis. The pain will normally get worse as the day passes. The Tarsal tunnel is located between the bones in the foot and the fibrous tissues in spaces. There is a nerve located at the tarsal tunnel called the posterior tibial nerve and it is protected by bones and tendons. Sudden high impact can cause stress fractures which will result in the posterior tibial nerve being pinched onto, causing pain at the heel and numbness at the region. Located under the heel bone is the corpus adiposum which acts as a shock absorber to protect the heel bone. After repeated hard landings on the foot or overuse, inflammation of the corpus adiposum can occur, causing pain and discomfort. In more serious cases, haemorrhaging of the heel pad can happen. At times, simple activities like walking can also be a difficult task. There are many different causes of heel pain and most of it is caused by overuse and lack of sufficient rest periods. The heel bone is an important part of our body and heel bone pain can restrict us from carrying out daily activities smoothly. Will I develop arthritis if i had a fall during my secondary school days? I fell and hurt my knee pretty bad back in high school. Will I be more likely to develop arthritis in my knee as I get older? Just because you injured your knee does not mean you’ll have problems as you age. However, significant injuries to the knee and hip have been found to increase the risk of osteoarthritis in these joints. Researchers tracked 1,337 medical students over a period of nearly twenty years to see whether people with knee or hip injuries would eventually have problems with osteoarthritis. They found that a higher percentage of people with injuries of the hip or knee in the younger years ended up having arthritis in the joint they had injured. People who are at risk because of an earlier injury should consider seeking advice on ways to improve the health of their joint and to prevent problems in the future.